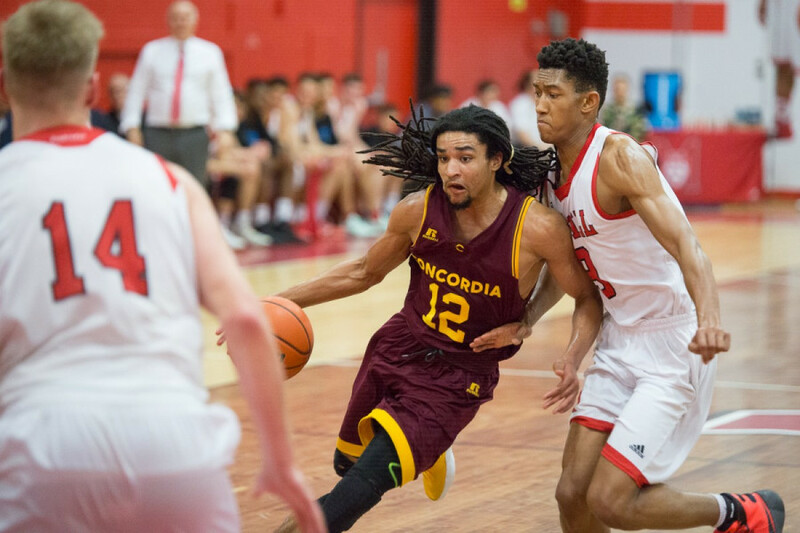 The Concordia Stingers men’s basketball team dropped the Réseau du sport étudiant du Québec final to their rivals McGill Redmen Saturday afternoon at Love Competition Hall. “I’m very proud of how we competed and how we grew as a team since day one when we got together,” said Stingers head coach Rastko Popovic. The game was close until the end of the second quarter. With the score tied at 30, McGill went on a 14-3 scoring run to close the half. From then, McGill cruised to a third consecutive conference title. “We worked so hard last year and last summer to get here, but from then and now, we improved on everything. 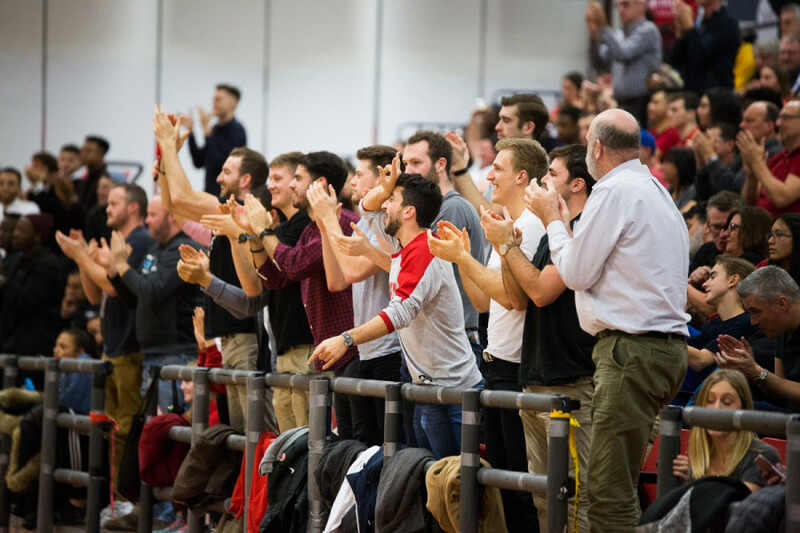 It feels good but it burns for now,” said Concordia forward Olivier Simon, who collected seven rebounds and scored nine points in the loss. 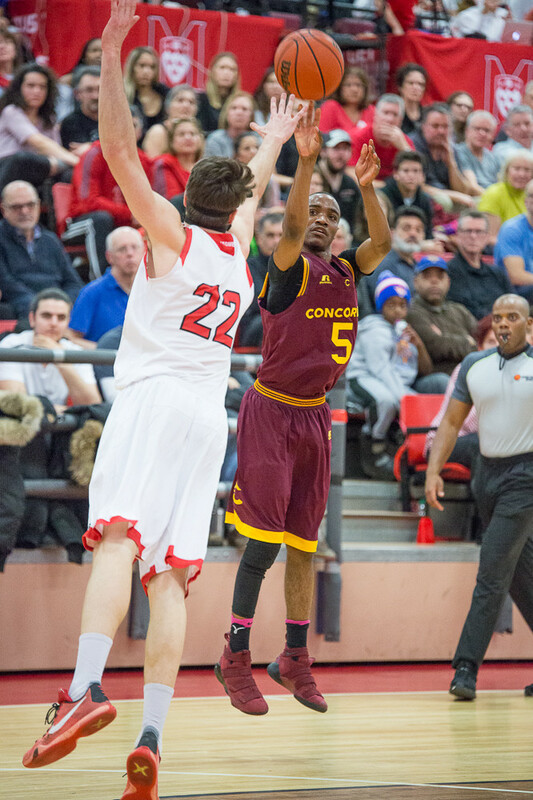 The game was a battle between Concordia and McGill’s starting point guards. Second team all-star Ricardo Monge took the Stingers on his back as usual and dropped 19 points in his twenty minutes of play. McGill’s Jenning Leung scored 16 points and grabbed seven rebounds. Forward Schneiders Suffrard assisted him scoring ten points and collected five rebounds in 27 minutes. “We improved from last year, we are more solid, more sharp. Now it’s just about moving forward,” said Suffrard. McGill protected their home as they do every time. Guard Avery Cadogan scored 19 points and collected five rebounds in 20 minutes. Guard Dele Ogundokun assisted him with 16 points, seven rebounds and four assists. Guard Francois Bourque also came in and completed, scoring 15 points during his 20 minutes of play. The Stingers will be losing forward and first-team all-star Ken Beaulieu as he finishes his fifth and final year of collegiate eligibility. 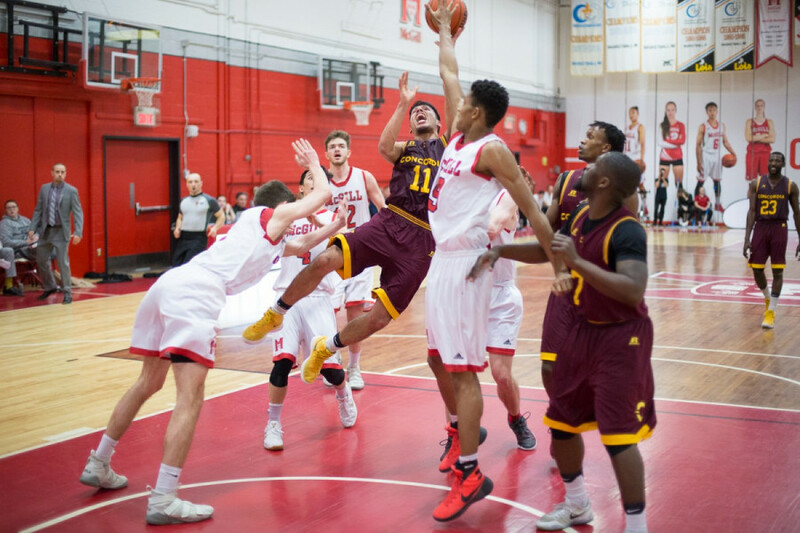 With the loss, the Stingers miss out on a chance to play at the U Sports national tournament.